Enjoy Mediterranean-themed appetizers, celebratory bubbly and drinks, with the opportunity to win big in the Auction and $1,000 cash raffle. Online bidding opens Monday, April 29. 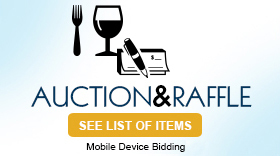 You can bid from anywhere in the world! * Family Service reserves the right to refuse to auction any item/service donated. Honor Outstanding Community Partner, The Healthcare Foundation of Highland Park. Award presented to Jim Styer, Chairman, HFHP Board of Trustees. Enjoy a gourmet Mediterranean dinner. Learn how your support creates "magical" changes in wellbeing and life potential through counseling and education. Join in a paddle raise to inspire hope and strengthen families in our communities. With more than 25 years' experience performing comedic magic, Randy Bernstein will keep you energized, entertained, and amazed throughout this magical evening. Elliott Delman, guitarist well-known on the Chicago music scene, will enhance our evening with musical favorites. If you can't make it, please consider donating to our cause. AND "A SHOW OF SUPPORT"
Founded in 1930, FSLC delivers proven, high-quality counseling for all ages and education and mentoring programs. Our unique mix of services is informed by our decades of working with and learning from the families in our communities. To learn more, visit https://www.famservice.org/. Event tickets and donations are tax deductible to the extent allowed by law. Tickets are $125 each and $1,100 for a table of 10. Contributions will be acknowledged by letter, in addition to any acknowledgment of online payments.